Ripple is perhaps more well known for its digital payment protocol rather than its cryptocurrency called Ripple (XRP). It operates on an open-source, peer-to-peer decentralised platform, which enables the seamless transfer of money in any form. XRP exists natively within the Ripple protocol as a counterparty-free currency, just like Bitcoin does on the blockchain. Seeing as XRP is an asset, rather than a redeemable balance, it does not ask users to trust any specific financial institution to trade or exchange it. However, all other currencies on Ripple do require some amount of trust because they each have an issuer, from whom that currency can be redeemed. XRP is the only native digital asset, whereas other currencies are debt instruments and exist in the form of balances. 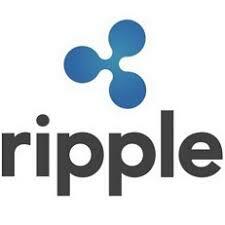 Each Ripple account is required to have a small reserve of 20 XRP as an anti-spam measure. Some cryptocurrency investors have a negative view of Ripple because it places an emphasis on helping institutional bankers. This is in contrast to the libertarian politics and decentralised ethos of alternatives like Bitcoin. Long-term stability – Due to strong relationships with banks, several investors see it as a relatively safe investment with long-term protection. Financial institutions are unlikely to adopt and invest in a technology that could collapse in the near future. Decreased volatility – Chances are financial institutions will look to it to establish a foothold in cryptocurrency, favouring its stability over volatility. Lower barrier to entry – Currently sitting near the top of total market cap value with a low price tag, it is an attractive and accessible currency for crypto newcomers. Whole-coin ownership – While many are drawn to Bitcoin due to its year-on-year gains and media attention, whole-coin ownership remains an issue. For example, US$10 will get you something like 0.0012987 Bitcoin rather than 44.27 XRP. Complements other cryptocurrency – The technology of Ripple’s blockchain could help form a bridge between Bitcoin and the mainstream financial world. Ripple’s current outlook does not seek to form a zero-sum game. Of the 100 billion XRP created, 20 billion were retained by the creators, who were also the founders of Ripple Labs. They then gave the remaining 80 per cent to Ripple Labs, with the XRP intended ‘to incentivise market maker activity to increase XRP liquidity and strengthen the overall health of XRP markets’. In May 2017, to alleviate concerns surrounding XRP supply, Ripple committed to place 55 billion XRP into a cryptographically-secured escrow. In the forth quarter of 2017, Ripple sold US$91.6 million of XRP, taking advantage of a 29,631 per cent price surge. Trading volume in the quarter jumped more than 35,000 per cent to an average of over US$807 million a day from US$2.28 million in the same period a year earlier. “XRP markets ended the year with a statement — one that will likely be remembered as a defining milestone in XRP’s history,” the company said.